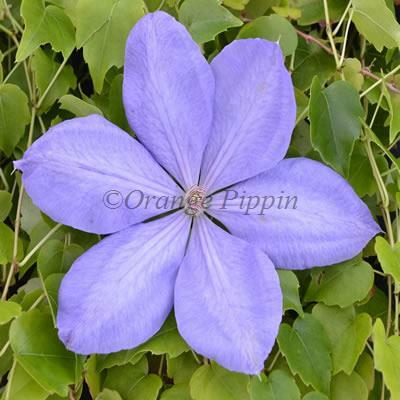 Clematis 'Mrs Cholmondeley' is lovely with its large blustery flowers of lavender-blue and attractive darker veining, freely produced from May to September. Early flowers are sometimes semi-double. Clematis 'Mrs Cholmondeley' was raised by Charles Noble of Sunningdale, England.